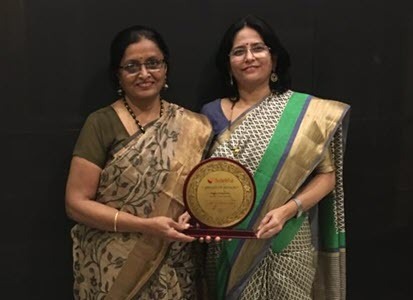 We are pleased to announce that Good To Excellence has been awarded by Sulekha for its services and training quality provided to our students. This has been possible because of our students getting the best benefits and giving their reviews frankly. Our trainers ensured that each student received individual attention and maximum benefit of the training. Thank you so much, students and our trainers! Kudos to our PTE student Pallav for getting a perfect score in the PTE exam. 90 in all skills and enabling skills. Wow! Congratulations. We are extremely proud of you Pallav. It was a pleasure training you. All the best in your future endeavors. We would also like to congratulate Akarsh on clearing PTE with flying colors. We are very proud of you Akarsh. All the best for your higher studies. We have now started Online Training/Classes for IELTS and PTE. These classes are conducted by our same trainers who are so popular with our classroom training classes. Online training offers many advantages like training from the convenience of your place, time and comfort. With highspeed internet now available to most of the students and working professionals, online training for IELTS and PTE brings several benefits. The trainer conducts these online training via “Microsoft Skype for Business” application which is meant for such purposes and is rich in its functionality. The classes are becoming popular and we now offer this facility to all our students. We are a training institute in Bangalore with a vision to make a positive difference in each student’s life to take them from being Good to Excellence. Our motto is “Come, Learn, Excel” which signifies what “Good To Excellence” stands for. We offer specialized training courses, from Basic level to Advanced, in the areas of Language, Career, Communication, and Development especially relevant to today’s generation at our Institute in BTM layout, Bangalore. As a result, these training courses shall lay a solid foundation for you to start your journey towards excellence. We believe that these are the areas which will be increasingly important as you grow in your professional career.